Symmetry—a Very Short Introduction, Oxford University Press, Oxford 2013. The Joy of Mathematics, discussion with Howard Burton, 18.03.13. [eBook]. The Great Mathematical Problems, Profile, London 2013. Taming the Infinite [Folio Society edition with colour plates], Folio Society, London 2012. Mathematics of Life, Profile, London 2011. Fearful Symmetry [with M. Golubitsky], Dover, New York 2011. Cows in The Maze , Oxford University Press, Oxford 2010. Professor Stewart's Hoard of Mathematical Treasures, Profile, London 2009. Professor Stewart's Cabinet of Mathematical Curiosities, Profile, London 2008. Taming the Infinite/The Story of Mathematics, Quercus, London 2008. What Shape is a Snowflake? 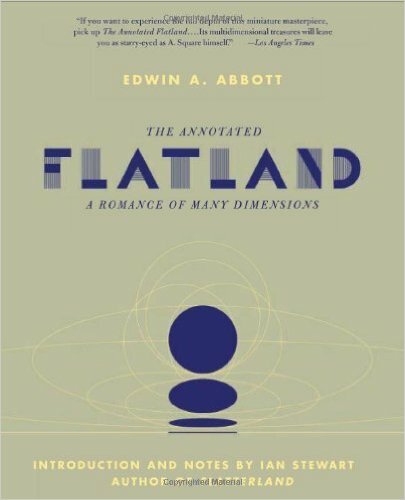 The Annotated Flatland, Perseus Books, Cambridge. Life's Other Secret, Penguin, Harmondsworth 1999. The Magical Maze, Phoenix, London 1998. Does God Play Dice? (second edition) Penguin, Harmondsworth 1997. Nature's Numbers, Science Masters Series, Weidenfeld and Nicolson, London. From Here to Infinity, Oxford University Press, Oxford 1996. Another Fine Math You've Got Me Into, Freeman, San Francisco 1992. Game, Set, and Math, Penguin Harmondsworth 1991. Concepts of Modern Mathematics (original Penguin 1980) Dover, New York 1995. Ah, les Beaux Groupes! Belin 1983. L'Univers des Nombres, Pour La Science Diffusion Belin 2001. Visions Géométriques, Pour La Science Diffusion Belin 1994.